My son at 5 months old started this fantastic nursery and I can’t praise them enough for going that extra mile with him. He suffers from a condition known as GORD and the nursery nurses who look after him are one in a million, they’ve been so understanding and genuinely cared about how his health is and how he settles at nursery. He’s only been there 5 weeks now and he’s actually doing so much better feeding then he does at home (one of things he struggles with). The children are treated as individuals and most importantly are treated almost like a family member. We have a friendly relationship with all the team instead of a professional one, although they are outstandingly professional on all aspects of the care they provide. One of the things we love are the photos they take, we never feel like we’re missing out on anything. As well as the app that tells us how our son has been and the things he’s done day to day, painting/nappy changes/feeding etc. Would and do recommend highly. This is a great nursery, when my youngest daughter joined the nursery at 10 months old, they made every effort to get to know her and her character. As she has moved through nursery she gained in confidence and learned lots of new things. She particular enjoyed her time in Wise Owls and likes to go back to visit the room leader and nursery practitioner when we pick up my son. I had no hesitation in my son starting at the nursery – he has now been there for a year and is excited to go to nursery each day. The staff in Happy Hedgehogs, particularly the nursery practitioners have really helped develop his character and have encouraged us to try things at home to help him learn new skills. 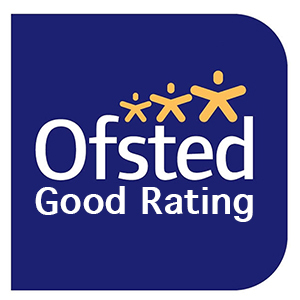 I would recommend First Steps Nursery to others, the staff make the nursery, they always say hello, are polite and get involved in various events and activities that the nursery take part in. Staff are friendly and always child focused. The management are understanding and very approachable. The resources, equipment, events and learning opportunities are brilliant. Friendly and willing to help. Very happy with the improvements made to the building meaning more things for the children to do. I am very happy with the progress Laura and her team are making so far and look forward to her driving the business forward. Long serving staff are always doing a wonderful job and Julie, Rebecca, Emma and Lucy are outstanding and are always around and with a friendly face!!! I am very happy with Grace’s progress, she is coming on leaps and bounds since attending the nursery and her speech is coming on so much. He has recently moved to wise owls room and has settled in well and the girls are great. The staff are lovely, always putting you at ease. My little boy has settled in perfectly and always comes home with a smile on his face.